Those "update" notices from credit card issuers that no one ever reads? You should read them to avoid unpleasant surprises, a recent survey finds. For example, collision damage waiver, and half a dozen other travel and purchase benefits including 2-5% back in points at Sears and Kmart, will be removed from the Sears platinum MasterCard issued by Citi as of October 1, according to Consumer World. Bank of America is eliminating five benefits on its Better Balance Rewards MasterCards as of November 1. And Discover, as of last month, removed benefits for lost or delayed luggage, travel insurance, and emergency roadside service from its cards. "Credit card issuers have used a host of benefits to attract customers to their cards, but now they are quietly removing many of them," said Edgar Dworsky, founder of the non-profit consumer site. "Some customers may be in for quite a surprise when they go to use one of these benefits but only then discover that it no longer exists." 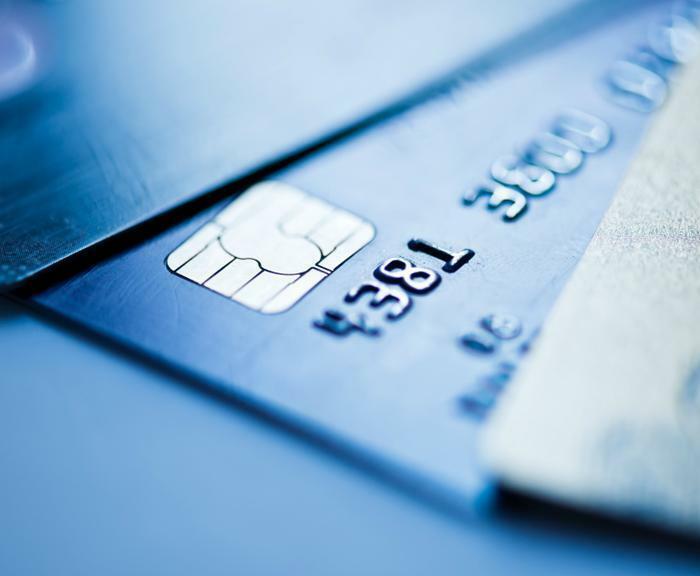 Most of the MasterCard changes were made by the card company itself this past January for their standard, gold, and platinum cards, but the cuts are only being implemented now by some individual banks, Dworsky said. MasterCard claims it evaluated which benefits cardholders preferred and used most often in deciding what set of core benefits to offer and which to drop. 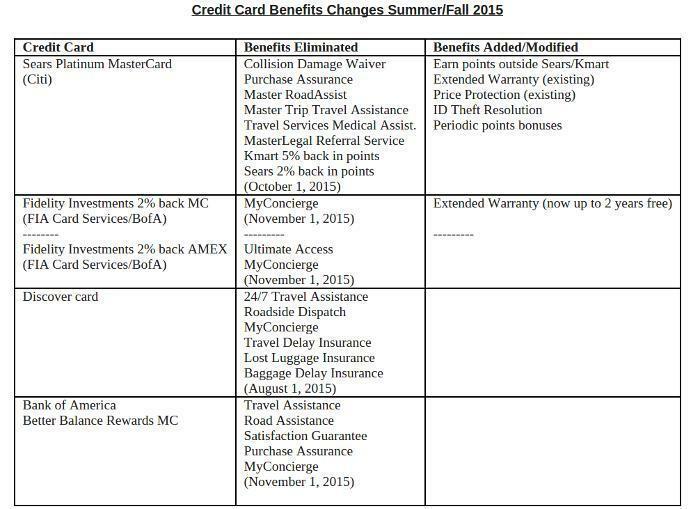 For these basic cards, the new core benefits funded by MasterCard only include Extended Warranty, Price Protection, Identify Theft Resolution, and lost card services. Individual banks can supplement the core benefits with other perks, or even buy back deleted ones. A Visa spokesperson said it had no plans to reduce benefits on its cards. AMEX did not respond to inquiries, according to the Consumer World report. Before making a critical purchase, cardholders should check with their card issuer to ensure that a particular benefit is still in effect. For example, don't assume you still have automatic collision damage waiver protection when renting a car. Upper-tier cards like World MasterCard, World Elite MasterCard, and Visa Signature tend to offer more benefits than basic cards. Many of the eliminated benefits are still available on them and on some basic cards that have opted not to adopt the changes. How transparent are those credit card offers?